On June 4, 1955, C.S. Lewis wrote to Dorothy Sayers to thank her for a pamphlet and letter she had sent him. 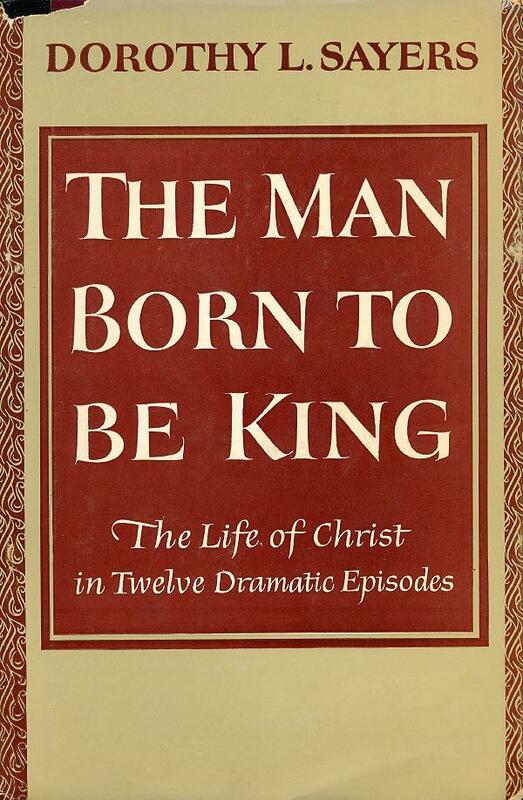 He noted, in passing, that “as always in Holy Week,” he had been “re-reading [Sayers's] The Man Born to Be King. It stands up to this v. particular kind of test extremely well.” We might, I think, do far worse than imitate Lewis in our own Lenten reading. 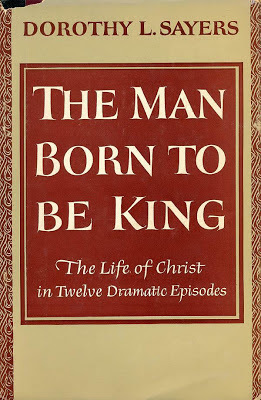 The Man Born to Be King is a series of radio plays, twelve in all, dramatizing the life of Jesus from birth to death and resurrection. First broadcast by the BBC in 1941–1942, they were published in 1943, together with Sayers’s notes for each play and a long Introduction she wrote recounting both her aims and approaches in writing the plays and some of the first (often comical) reactions from the public. The book seems to be out of print and even second-hand copies are rather expensive at Amazon [Alibris has softcover editions beginning at about $6.00]. If you haunt second-hand bookstores and come across it, it is well worth possessing and reading, and Sayers' notes are as valuable as the plays themselves.